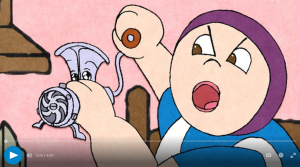 A short animated film by Sheldon Cohen, adapted by Aubrey Davis and set to music by Klezmer group Beyond the Pale. Producers Kenneth Hirsch, Sheldon Cohen and Marcy Page. PMA Productions Inc., 2006. DVD, color, 4 min. 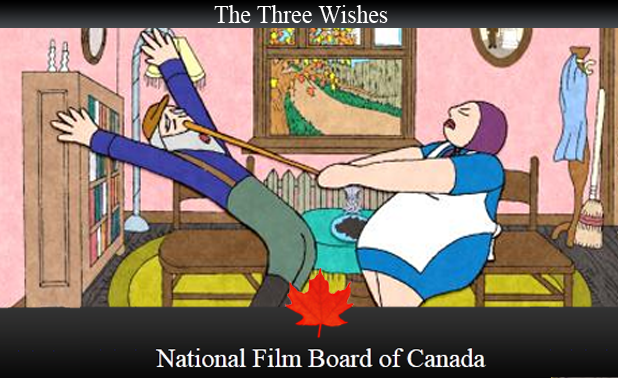 Distributed by National Film Board of Canada. Based on a traditional folk tale, The Three Wishes is about a poor couple who try to decide which of their dreams should come true after being granted special powers.